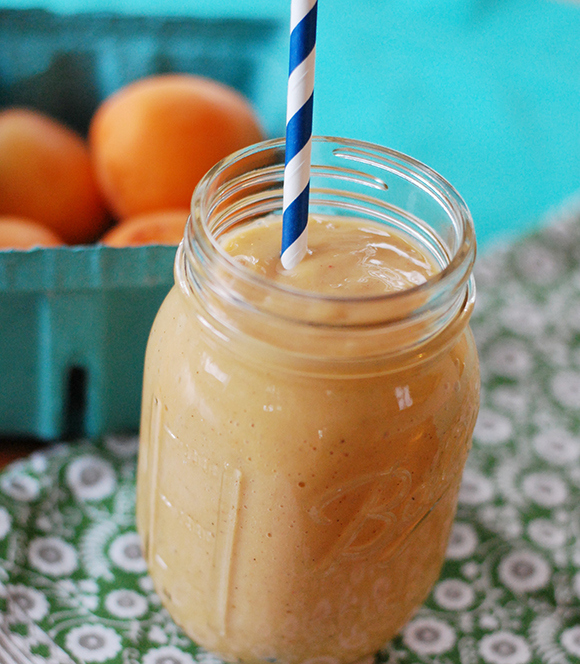 Make a Farmer’s Market Smoothie! Don’t let yourself get into a rut, buying the same things every week. Try picking up some different produce this weekend and try blending it up in a smoothie, it’s a great way to start the day and get in your servings of fruits & vegetables! I bought some nectarines last week and they were incredible. Juicy, sweet & ripe. Try blending up combinations like nectarine, almond milk, greek yogurt, ice & maple syrup or get adventurous and add vegetables like celery, kale or tomatoes. If you have a juicer at home you can juice items like apples, beets or carrots. Get creative and see what works! You can even make dog biscuits from the leftover vegetable pulp. Remember the market is rain or shine! We’re hoping that the thunderstorms hold off until the afternoon but we hope you’ll come out to support the vendors either way. Vendors joining us this Sunday are…Swiss Bakers, Witch City Salsa, Alfalfa Farm Winery, Grant Farm, Clark Farm, Moran’s Pet Food, Lanni’s Orchard, Golden Cod Fish, River Rock Farm, Long Hill Orchard, All Fruit, Pour Man’s Coffee, Pickle Emporium, Rowands Fish, The Soup Guy, Next Step Living. Crafters at the market this Sunday are…Made With Love Beaded Jewelry, Kaleidoscopesoap, Storyteller Jewelry, Iris Design Decoupage Tiles. Sorry for the delay! Here is the fantastic Zucchini Pancake recipe that Chef Gregg Brackman from G Bar & Kitchen cooked up at the market last week. 2. Place zucchini, onion powder, baking powder, eggs, salt and pepper and mix evenly. 3. Add flour (not all at once) and distribute evenly.. use a tablespoon to drop cakes into hot oil. 6. Pan Fry 4 cakes at a time. Don’t over crowd pan, because you need room to flip. 8. Enjoy with sour cream, Greek yogurt, hot sauce, applesauce…whatever you might eat with potato. 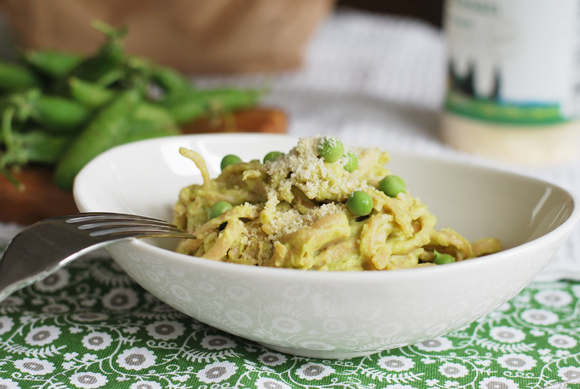 Pick up some peas, garlic & onions next week at the Farmer’s Market and give this recipe a try, it’s a healthier take on creamy fettucine alfredo. 1. In a medium saucepan, heat olive oil over medium-high heat. Add onions and cook for 5 minutes stirring occasionally. Add garlic and cook for another minute until fragrant. 2. Add the peas, cauliflower and broth and bring to a boil. When it reaches a boil reduce to a simmer and cook for another 10 minutes. 3. Transfer to a blender and blend until smooth & creamy. Return to the pan and stir in parmesan cheese and season with salt & pepper to taste. Toss with your favorite pasta and serve with extra parmesan cheese. Hopefully you rescued all of those leafy greens last weekend from dying in the heat wave! 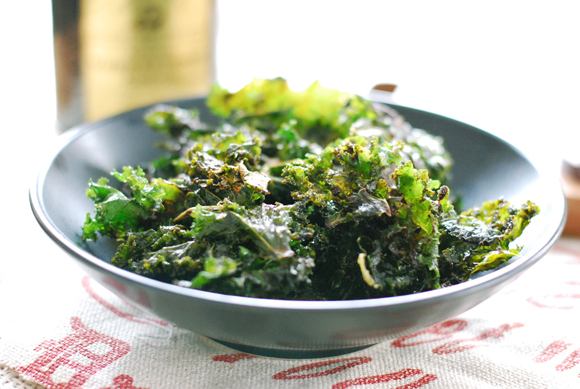 If you like crispy salty snacks and you’ve never tried kale chips, you need to go make these. Now! Number one, it’s easy. Number two, they’re delicious. Number three, I’m willing to bet you could eat an entire head of kale in one sitting if they’re in chip form. Simply massage the leaves in a little olive oil, season, and bake at 275 F for 20 minutes and you’ve got yourself an awesome afternoon snack. This recipe uses cocoa & cayenne for the seasoning but you could switch it up depending on what you like. Experiment with things like parmesan cheese, salt, pepper, smoked paprika, garlic powder, herbs, or nutritional yeast. 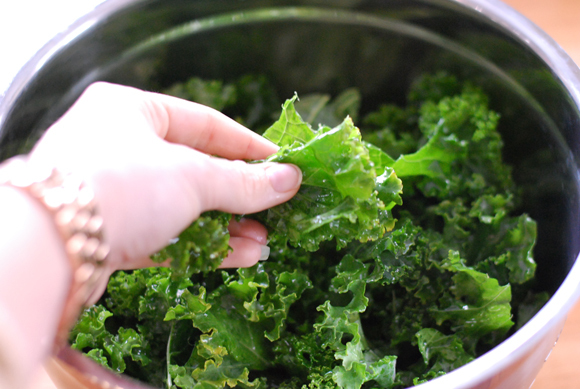 Remove the ribs from the kale and cut or rip into small pieces. 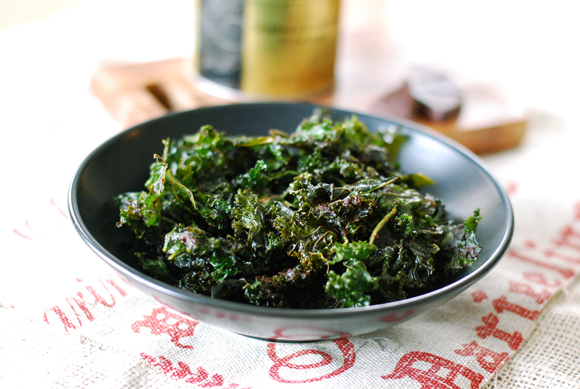 Toss Kale in olive oil and massage with your hands until all of the leaves are lightly coated. Spread leaves in a single layer on a baking sheet. Season well with salt, cocoa powder, coconut sugar & a LITTLE cayenne. A little goes a long way so go light with it or you’ll blow your head off. Bake for 20-25 minutes or until light & crispy. I hope you picked up some of those amazing strawberries at the Farmer’s Market last weekend. If you somehow find it possible to not eat the entire pint in one sitting, you might want to try one of these awesome recipes. 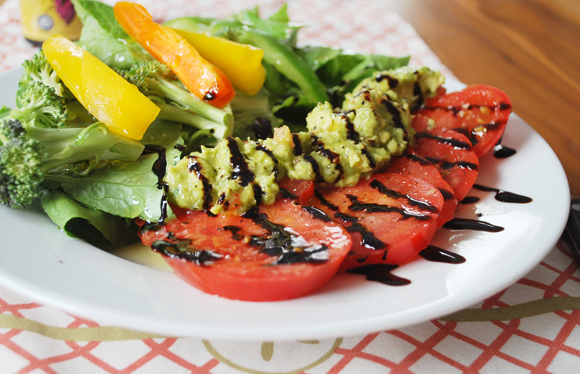 This salad was shared by our committee member Marge, she said its one of her favorites and it looks devine! 3. Layer mozzarella on a plate. 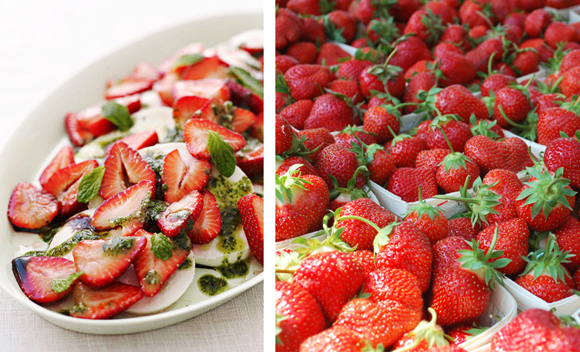 Spoon strawberries, mint pesto and balsamic vinegar over top. Garnish with mint leaves. 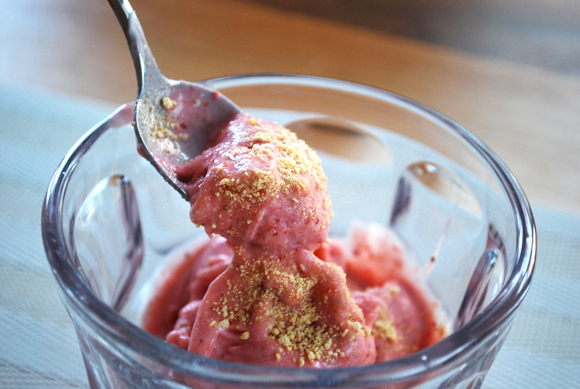 Combine the banana, strawberries, yogurt and vanilla in a food processor until smooth & creamy. Top with graham cracker pieces and enjoy. Have you seen those gorgeous white turnips at the Farmer’s Market but not known what to do with them? You can eat them raw by slicing them very thin and tossing in a simple vinaigrette. 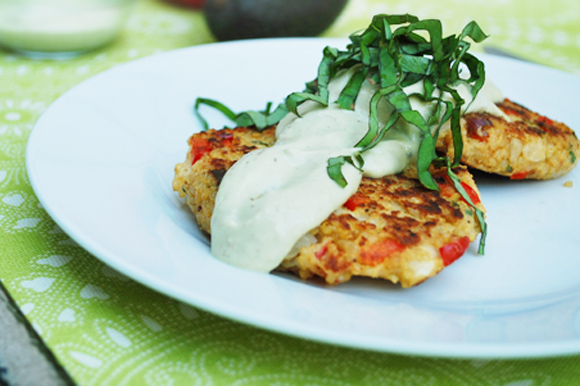 Or you can cook them and add to a recipe like these delicious Turnip Quinoa Cakes. Turnips are crisp root vegetables that resemble radishes but the flavor will mellow when they are cooked. They are best when they are fresh so try to pick small to medium turnips since the more mature ones have a stronger flavor. You can also save the greens to enjoy later if you like. 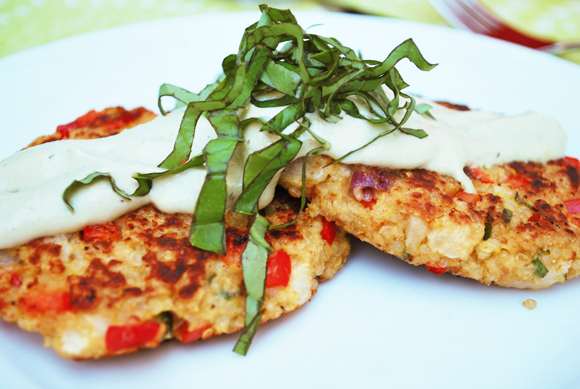 These Turnip Quinoa Cakes are the a delicious way to prepare this unique vegetable and make for a quick and healthy dinner! This recipe uses one part greek yogurt to keep it light but you could use only sour cream if you prefer. 1. Cut the turnips into small cubes. Steam until soft and cooked through. Mash the turnips with a potato masher or the back of a fork. 2. Stir all of the quinoa cake ingredients together in a large bowl. 3. Make avocado crema by combining all of the ingredients well in a food processor. 4. Form the quinoa mixture into 5-6 small patties. Heat a nonstick pan over medium heat and spray with a little cooking spray. Cook the patties 4-5 minutes on each side until lightly browned & cooked through. 5. 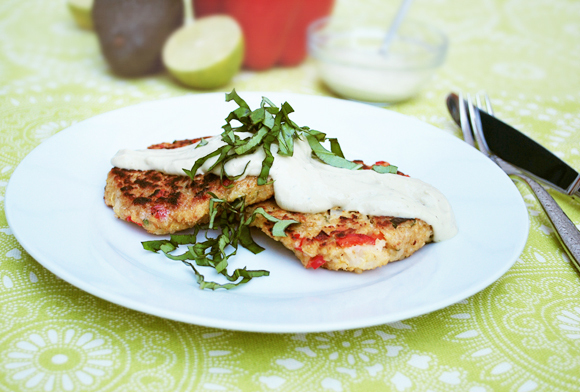 Serve quinoa cakes topped with avocado crema & fresh basil. 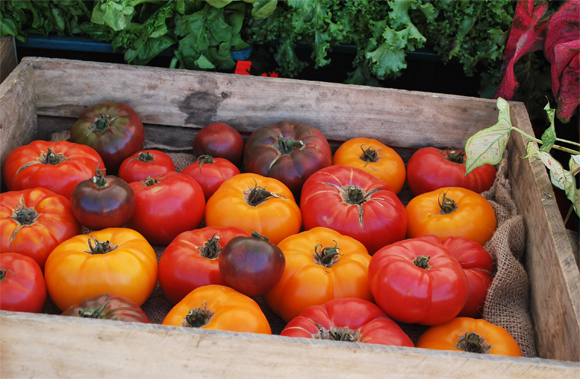 If you happened to stop by the Clark Farms booth at the market on Sunday, you most likely saw this crate filled with gorgeous heirloom tomatoes. If you were lucky enough to get your hands on one of these, you would know that they tasted just as good as they looked. 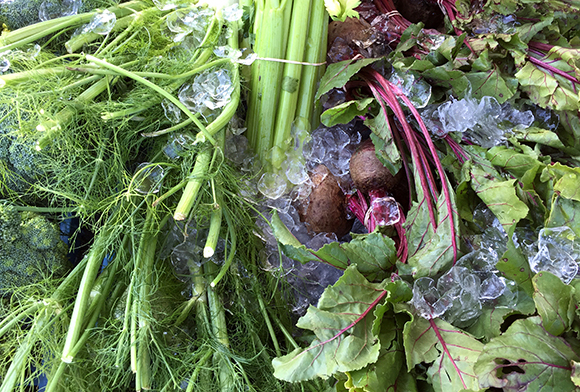 The best thing about fresh local produce is that you don’t need to do much to enjoy the amazing flavors. 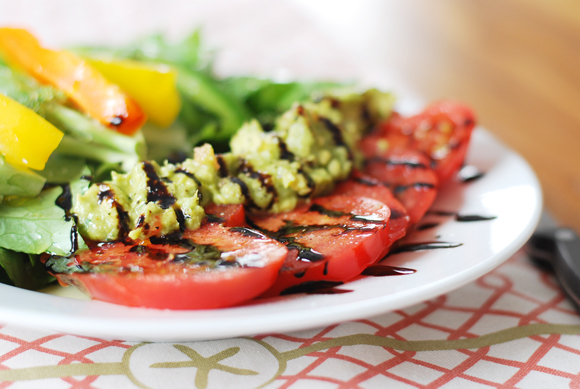 These tomatoes are sweet and flavorful and could probably even be eaten by themselves. 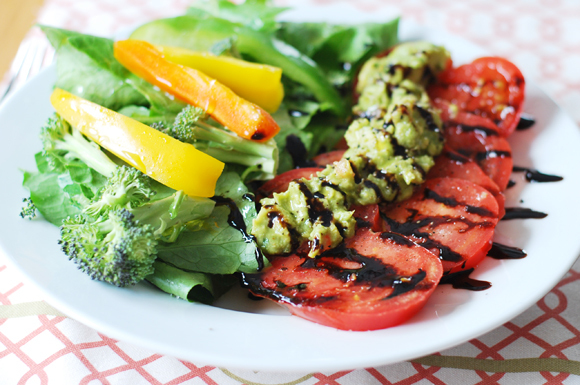 For lunch this afternoon I sliced up the tomato, sprinkled it with sea salt and fresh black pepper and topped it off with some guacamole and a drizzle of olive oil and balsamic vinegar. If you don’t have any guacamole on hand, it would be just as good with sliced avocado or mozzarella cheese.